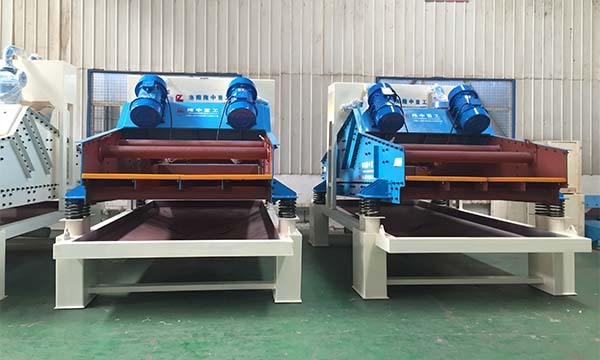 This type dewatering screen is generally used in the wet sand production line, and directly installed at the rear of sand washing machine. 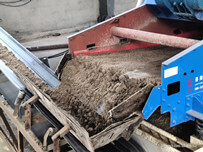 The dewatering screen on equipment carries out further dewatering of the finished material of sand washing machine; the recycling system on the equipment re-recycles the fine materials discharged from the sand washer, which fully solves the drawbacks of sand washing machine (such as: the large water content, large mud content, more dust, and impurities are difficult to remove), and greatly improves the quality of finished product. 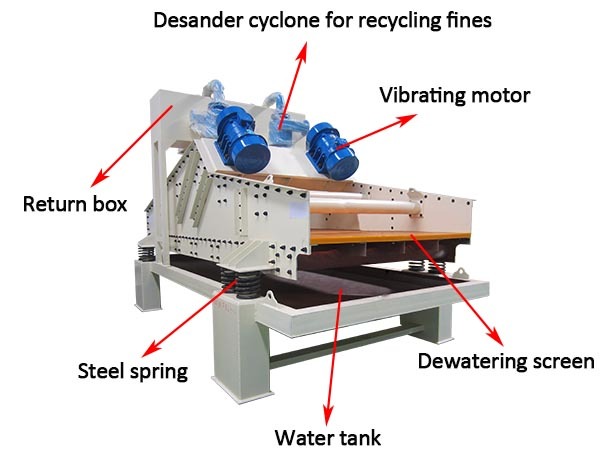 The dewatering screen with fines recovery is divided into two major operating areas. 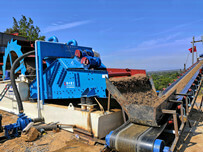 Consists of vibration motor and dewatering screen. The finished sand of the sand washing machine directly enters to dewatering screen for secondary cleaning, classification and dehydration. Consists of vacuum high-pressure pump, motor, high-pressure hydrocyclone separator, return water tank and cleaning tank. The muddy water discharged from sand washing machine enters to cleaning tank, then transported to the separation via vacuum high-pressure pump to separate the sediment and extract and collect the fine sand. 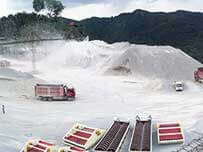 Then fine sand is fed onto dewatering screen through the sedimentation nozzle, and other impurities pass through the overflow port of separator and enter the return tank for discharge. 1. Multiple functions of dehydration and recovery, operate easily, saving investment cost and floor space. 2. 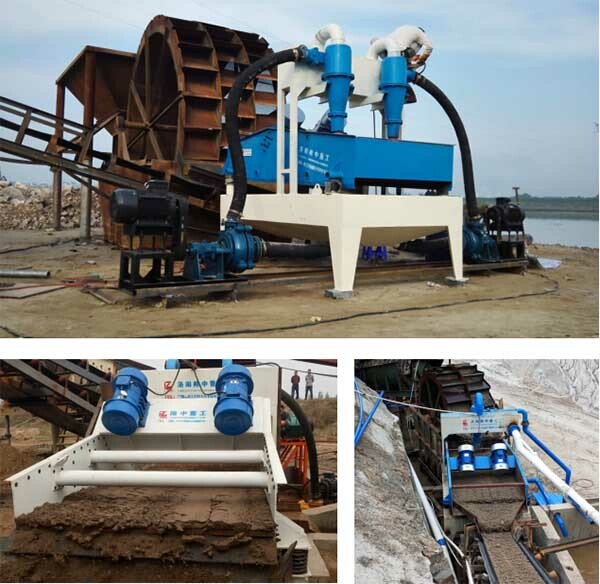 Finished sand is cleaner, the secondary sand washing and dewatering function is added for the finished sand of sand washing machine, which is the biggest feature of the sixth generation fine sand recycling machine. 3. High sand recovery rate, achieving 90%-95% fine sand recovery effect, bringing direct economic benefits to customers over 15%. Achieving both environmental protection and economic benefits. 4. 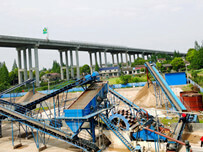 Improving the quality and output of finished sand, fully solve the drawbacks of sand washing machine.